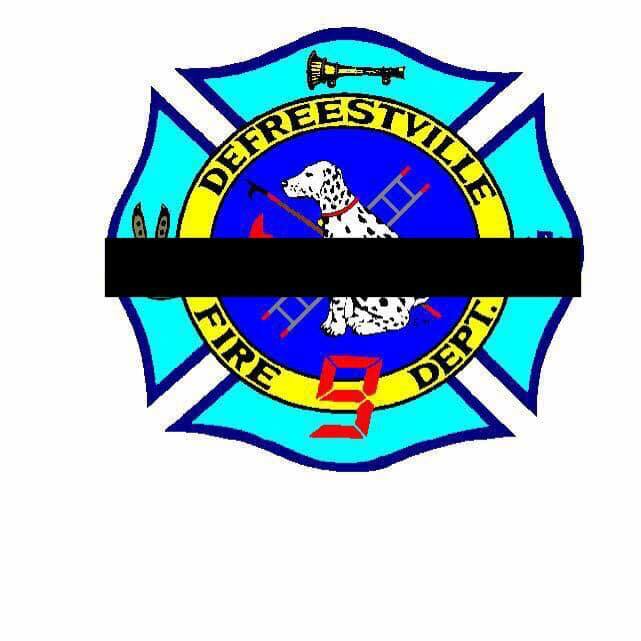 The Defreestville Fire Department was unofficially organized in 1944 following a fire in the Phillip’s Farmhouse on Route 4. This fire burned in the chimney for quite some time, legend says that as the fire burned just about everything was removed from the house, including the kitchen sink. Because of a severe snow storm and extreme cold temperatures, Pumper 4 from the City of Rensselaer FD froze up and apparatus from other neighboring communities were unable to make it over the impassable roads. A group of concerned residents got together to provide organized fire protection to the community, initially meeting in their homes. They equipped themselves with fire extinguishers and other fire fighting equipment, responding to calls for assistance in their private vehicles. The DFD was formally incorporated in 1945 as a New York State Not for Profit Membership Corporation. Funds were raised to purchase a used oil delivery truck which was converted to fight fires. This first fire engine was stored at Jordan’s Dairy, where Valley View Boulevard now intersects with North Greenbush Road. Chet Jordan, the owner of the dairy was one of the organizers and became the second Fire Chief after the first Chief, Ed Rowe moved out of town. Through much hard work the original fire station was completed in 1946, and included a large dining hall, which for many years hosted countless dinners and other fund raising events to further the goals of the fire department. DFD was assisted in these efforts by a very active Ladies Auxiliary. The second fire truck was a World War 2 surplus crash/rescue fire engine purchased for $800. Over the years additional apparatus was acquired, with the basement utilized to house 2 pieces of apparatus in the social room. The dining hall was converted to an engine room when the fire station was refurbished in 1984, Over the years, DFD established fire protection contracts with the Town of North Greenbush and North Greenbush Fire District # 1 to enhance funding, along with those raised by the membership to continue provide first rate fire protection services to the ever growing community it serves. In 1981, DFD added EMS First Response responsibilities and was officially certified by the NYS Department of Health as a BLS First Response Agency. DFD is proud of its heritage and honored to be able to carry on the legacy of those insightful individuals who saw the need and worked so hard to lay the lasting foundation of the organization. The 21st century presents a much different set of challenges. Emergency responses for many years totaled less than 100 calls annually and today exceeds 600. These responses require the most sophisticated equipment available along with highly trained volunteers to properly protect residents, business and visitors. Throughout 2009, combined efforts or the North Greenbush Fire District #1, Defreestville Fire Department, Wynantskill Fire Department and the Town of North Greenbush supported by a New York State Shared Municipal Services Grant succeeded in the annexation of the Defreestville Fire Protection District into the Fire District and Defreestville FD became a part North Greenbush Fire District # 1. This significant change in North Greenbush Fire Protection resulted in a tax savings for those residents in the fire protection district with minimal impact on the fire district finances. We continue to work closely with the members of the Wynantskill Fire Department to provide the best available emergency services throughout the Town of North Greenbush. In 2017, after a 20 year effort, the Defreestville Fire Department moved into the new fire station funded and constructed by the North Greenbush Fire District # 1. The effort put forth by the Board of Fire Commissioners, assisted by personnel from both DFD and WFD, to provide this modern facility for Defreestville Fire Fighters and to the community was immense. The new fire station will be a positive force for the resources needed to protect the Town of North Greenbush for many year to come.